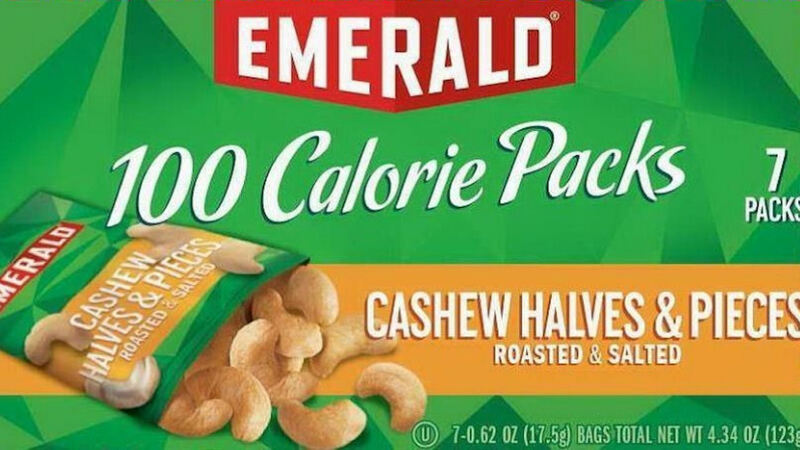 CHARLOTTE, NC -- Snyder's-Lance has initiated a voluntary recall for a limited amount of Emerald 100 Calorie Pack Roasted & Salted Cashew Halves & Pieces due to the possible presence of small glass pieces. No other production codes, sizes or varieties of Emerald products are affected by the recall. The recalled product, distributed nationwide, has Best Before Dates of December 12, 2016, December 13, 2016, December 18, 2016, and December 21, 2016. The investigation is ongoing but no injuries have been reported to date. "The quality and safety of our products are the top priority for our company," said Emerald in a statement. "We apologize to our retail customers and consumers and sincerely regret any inconvenience created by this recall. We are working and cooperating fully with the U.S. Food & Drug Administration on this voluntary recall." Consumers who may have purchased the recalled product should not consume it. Instead, they should contact Consumer Affairs for a full refund online at http://www.emeraldnuts.com/contact-emerald/ or by calling 503-364-0399 between 8 a.m. and 5 p.m. Pacific Time, Monday - Friday.